What’s up with Grenache? One of the most planted grapes in the world, a star of Spain, and often a foundation of greatness in the wines of Australia, France, California and Washington. A grape with the range of expression from light, fruity and frivolous to the dark, firm, brooding and confident. Yep, Grenache is well worth an oenophile’s attention. And a special wine dinner. The theme was set, and then the dinner’s day arrived. This time around, we were a small group (6 adults), so we decided to skip the usual formal blind tasting with the multiple glasses, and instead simply integrate the tasting (still blind) into the format of the dinner. Each couple brought a bottle of Grenache wine, wrapped in paper bag. The wines were numbered at random and then poured one by one. All in all, quite simple. But before we got to the Grenache, I wanted to share two special bottles. Don’t get all jumpy at the word “special” – it means different things for different people. Your idea of special bottle might be Chateau Latour, Penfolds Grange or Amarone from Quintarelly – well, if you want to share any of those with me, I’m available any day of the week. However, my idea of special is often limited to something simply unique and different, such as “rare grapes”, for instance – an opportunity to add to my grape count and reach the coveted Wine Century Pentavini (500 grapes). Along these lines, the first “special” was the white wine from Spain, which was made mostly from Roussanne, but also contained the grape called Albillo. 2011 Navaherreros Blanco de Bernabeleva Vinos de Madrid DO (14.5% ABV, $14.99, 50% Roussanne, Albillo, Macabeo and other varieties) had beautiful golden color, inviting nose of white fruit, touch of vanilla. Full bodied, creamy, luscious on the palate, touch of earthiness and baking spices, touch of vanilla, good acidity. (Drinkability: 8). This was definitely a delicious way to start the evening. The next wine was Rosé. It was not just some generic Rosé – it was actually made form the grape which is practically impossible to find, at least in US – and it was on my “target” list for the very, very long time. 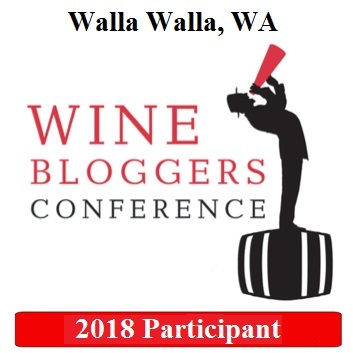 Just to explain – if you will look at the original Wine Century Club application, you will find 186 grapes listed there, so we can consider those 186 to be a mainstream. In that list, there are still 6 grapes which I never tasted. Well, let me take that back – now there are 5. 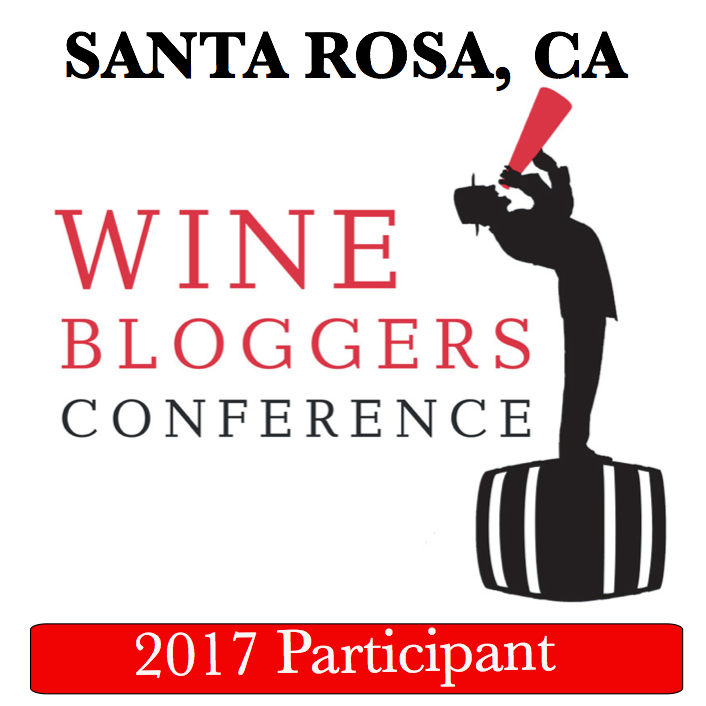 Okay, now we can finally talk Grenache, which I mentioned 3 times in the title of this post, right? I think when it comes to the range of expression among 7-10 most widely known red grapes, Grenache offer the most versatility, competing may be only with Syrah. From over the top dark chocolate, tar and sweet cherries to the soft, earthy and even acidic, Grenache can showcase quite a range of winemaking styles and terroirs. Thinking more about our tasting, it served exactly as a confirmation to this statement. The first Grenache we had was that exact over the top style – dark, concentrated, firm, loaded with sweet pleasure in every sip. The second Grenache couldn’t be more different than what we experienced – smoke, mushrooms, forest floor, earthiness, herbs – a restrained beauty which I would never even think of as Grenache – but it was. And the last bottle was all too shy and closed at the beginning, showing again differently from the first two – but as it opened up, it became a younger brother of the first wine – same traits, only dialed down. The 3 bottles we chose completely at random managed to demonstrate that tremendous Grenache range. When we removed brown bags, we learned that we traveled from Spain to Washington and then to France – a very interesting journey. Okay, enough about wines. Now, this was a dinner, and I promised you the recipe, remember? 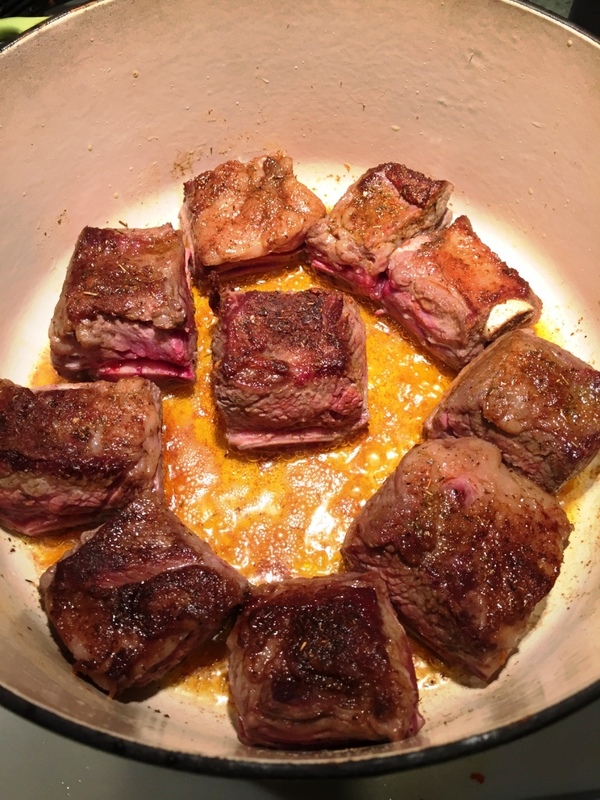 The dish I made, and the recipe I would like to share will perfectly pair with the cold weather, and it is one of the ultimate comfort dishes ever – braised short ribs. Starting from the ease of cooking and the simplicity of the recipe, and then admiring the goodness of the smell during the long, slow cooking – this is definitely one of the ways to properly spell the word comfort. Serve with: mashed potatoes, rice, pasta, etc. Let meat warm up to the room temperature. Preheat over to 325ºF. 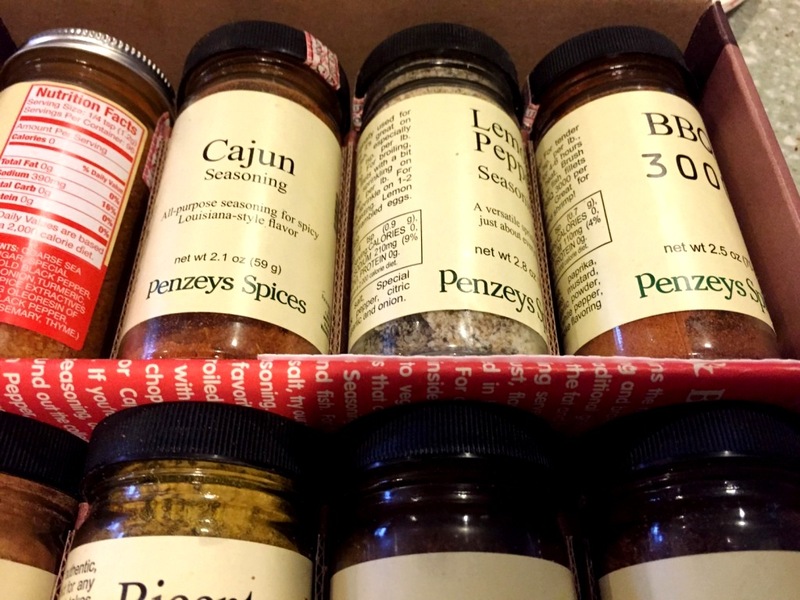 While the meat is warming up, you can start working on your “trifecta”. Dice the onions and start sauteing them in the skillet or dutch oven with 2 tbsp of olive oil on the medium heat. 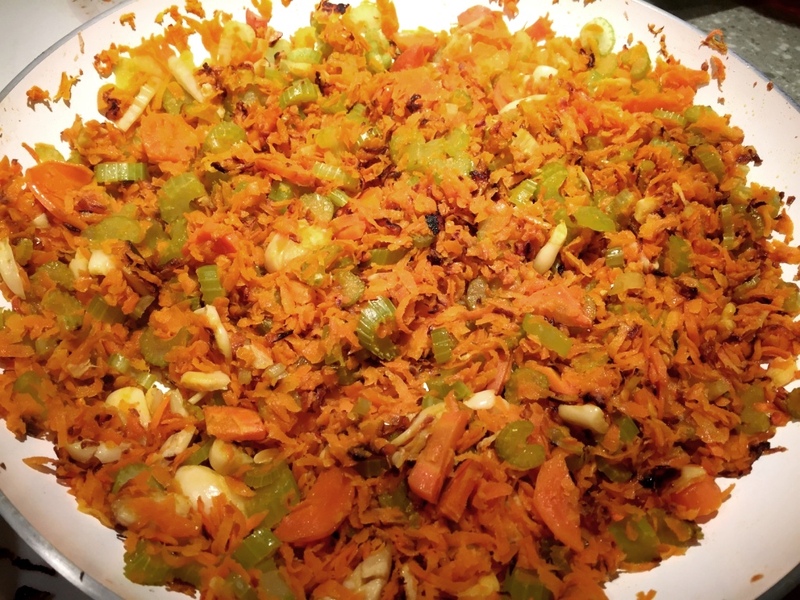 Dice carrots and celery. Once onions become soft and translucent and then start gaining color (usually takes about 20 minutes), add carrots and celery and sauté all together for another 10 minutes, then set aside. As you can imagine, hearty Grenache is a perfect pairing for such a hearty, homey dish – but of course this shouldn’t be your only choice. Here we are, my friends. A few rare grapes, an amazing range of Grenache wines, and winter-storm-alleviating-ultimately-comforting dish. Stay warm and drink well. Cheers! Yes, this was a very interesting tasting. As far as notes are concerned – as you can see, they are more of a big picture notes, lacking fine details – I do a lot of notes by memory, but I really have to write it down shortly after the tasting, otherwise it will all become a blur. And of course, notes by memory work only in case of a very small tasting. Congratulations on the Picpoul Noir find and thank you for the recipe. 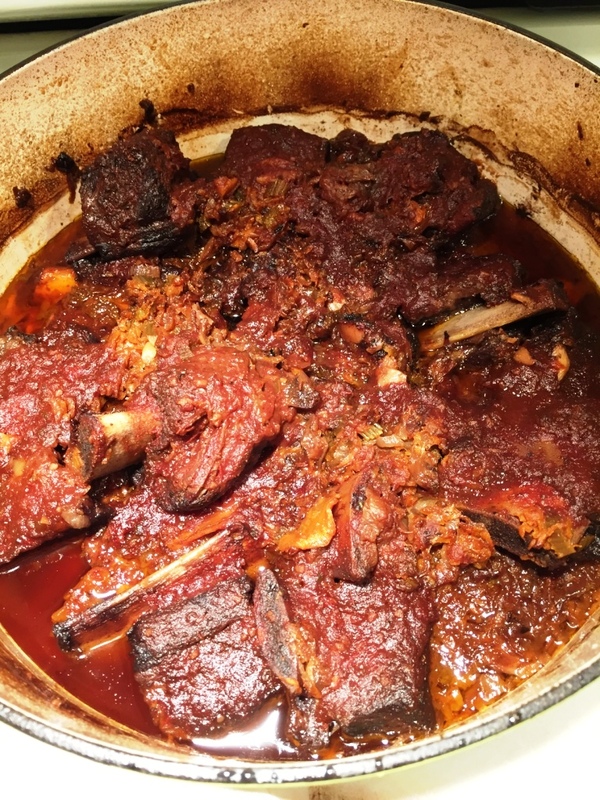 I’ve had attempting short ribs on my mind recently. Its time! 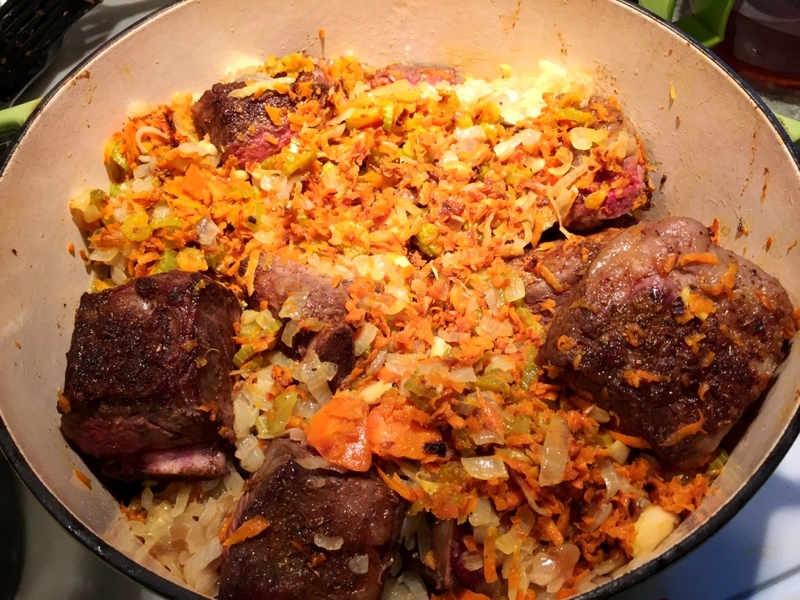 Let me know how the short ribs will turn out – this is one of my favorite dishes. Last month, we (one of my monthly wine dinners) explored Priorat, a mainly Granacha region. It was a great experience and I got to know them better till I got to the last 2 wines. It was behaving like a sherry/dessert wine. I will write about it soon. Never thought that Walla Walla produces Grenache. Interesting and I will look out for it. Priorat makes amazing wines – look for Clos Mogador, Clos Erasmus and others, they never disappoint. Grenache is produced in the Washington state by a number of wineries ( rarely as single vineyard though). 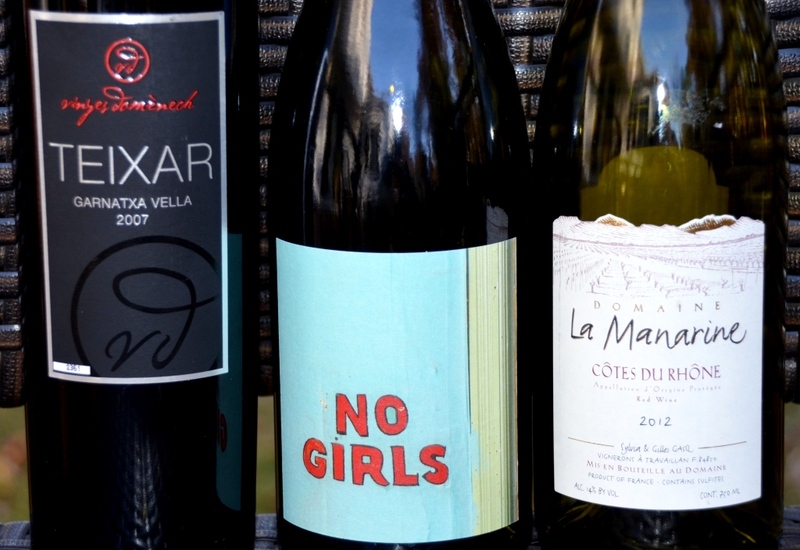 This wine – No Girls – is a side project by Cristophe Baron, the winemaker behind Cayuse wines. Very small production, about 270 cases If you will find it – let me know how you will like it. Thanks for the heads up…Will keep a look out for it. Cool. Hope you are keeping warm. Wines and dinner look delicious. Thanks for sharing. Any time, Michelle :). Hopefully will have an opportunity to share some wines this summer. Looks delish. Love Grenache! Glad that picpoul was not a disappointment after all the work to get it. Thank you, friend. Yes, the Picpoul was not amazing, but quite unique in its own right :). 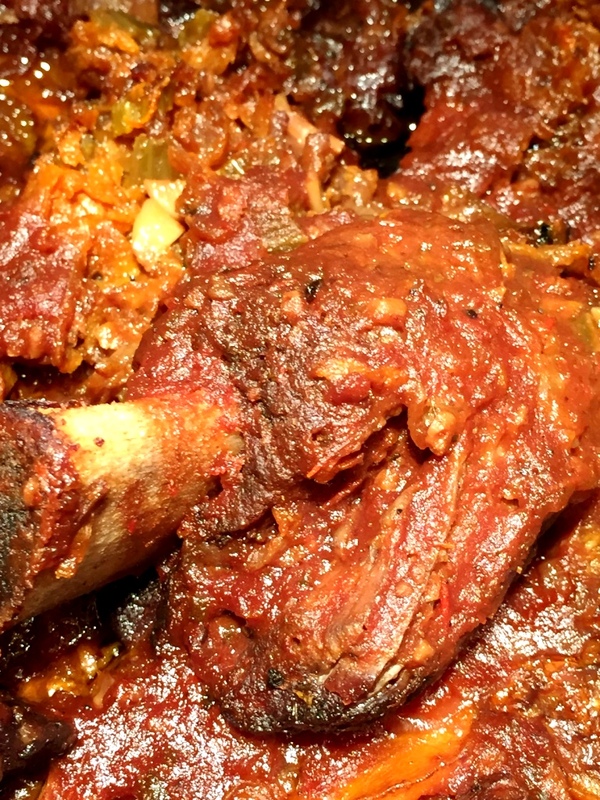 The short ribs are easy to make and taste great, so if your family likes beef, I highly recommend it.